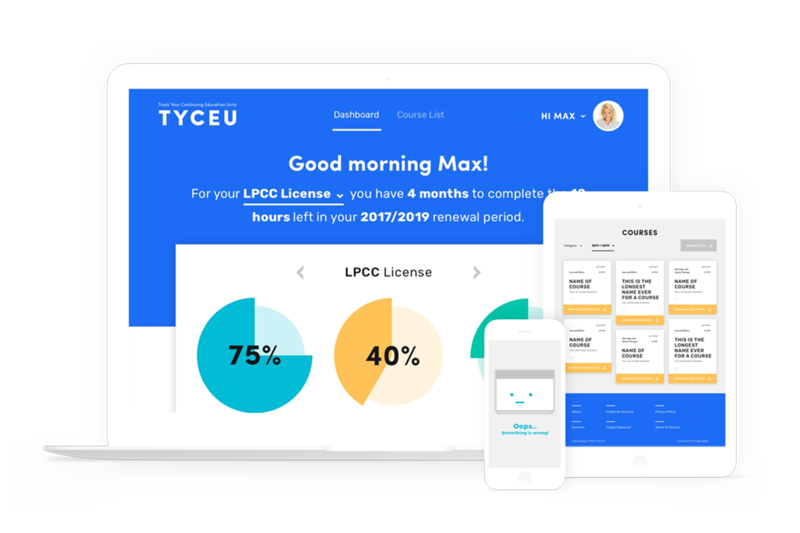 TrackYourHours provides a simple online platform for Marriage and Family Therapist, LPCC and LCSW candidates to log their clinical experience hours required for state licensure. We provide ongoing PHP development services to enhance the service and keep it up-to-date with rapidly changing regulations. We also provide support for TrackYouHours customer service--TrackYourHours goes out of their way to help users who have accidentally deleted, overwritten, or otherwise messed up their critical hours data, which means we write custom SQL queries to pull data from backups and manually restore the accounts of distressed users. We also designed and built Track Your CEUs, a new app to help LMFT, LPCC or LCSW professionals track their compliance with California continuing education requirements.